NORWALK, CT – April 18, 2018 – After three straight quarters of relatively low home health and hospice merger and acquisition activity, the first quarter of 2018 saw 21 publicly announced transaction. This was a 50% increase from the fourth quarter of 2017 (14 transactions), but just a 5% increase from the year-ago quarter (20 transactions), according to new data from HealthCareMandA.com. Only three of the 21 transactions in this year’s first quarter disclosed a price, and the total was a small $46.1 million. This was similar to last year’s first quarter total of $20.9 million, but not comparable to last year’s fourth quarter when nearly $4.1 billion was announced encompassing just two acquisitions. During the first quarter, only one company announced two transactions. Ohio-based Stonehenge Partners purchased two hospice companies in Ohio: Capital City Hospice in Columbus and Queen City Hospice in Cincinnati. About 62% of the quarter’s transactions were done by private companies, and only four were announced by publicly traded companies. Addus HomeCare Corporation announced the largest acquisition by price, the $40 million purchase of Ambercare Company, which had $57 million of revenues. “Most transactions in the home health and hospice space are small, and typically do not come with disclosed prices,” stated Lisa Phillips, editor of The Health Care M&A Report, which publishes the data. “The number of transactions in the first quarter was the highest since the fourth quarter of 2016 (24 acquisitions), and it may be a sign that investment interest has returned after some regulatory headwinds diminished in the fourth quarter,” Phillips stated. All quarterly results are published in The Health Care M&A Report for all 13 sectors of health care, which is part of the HealthCareMandA.com investment research source. For information, or to order the report, call 800-248-1668. 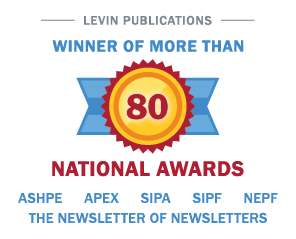 Irving Levin Associates is celebrating 70 years of delivering exclusive M&A intelligence to its sophisticated audience of seniors housing and healthcare investors, and 2017 marked the third year in a row that the firm was recognized by Inc. 5000 as one of the fastest growing media companies in the country. The company was established in 1948 and has headquarters in Norwalk, Connecticut. The company publishes research reports and newsletters, and maintains databases on the healthcare and senior housing markets.